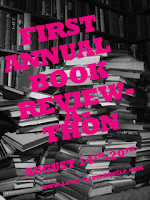 Before I start my review, I want to tell you, Reader Friends, that I'm participating in Lovely Little Shelf's Review-a-Thon. 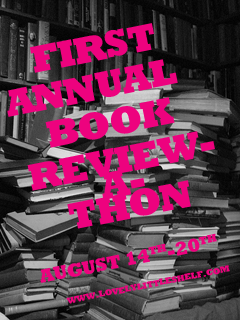 From now until August 20th, I'll be posting a review every day. Because I thought this started today when it actually started yesterday, you'll be getting two reviews from me today! 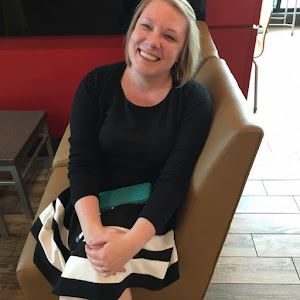 Check out Jacki's blog (Lovely Little Shelf) to see what everyone else is reviewing! My boss refers to our headquarters as "The Mountain" in a meeting - I spend the entire meeting imagining that we are getting our orders from Gregor Klegane. Luke frequently calls me and says nothing but "Moooooon uf my liiiiiife" to which I reply "My sun and stars" and then we hang up. We also randomly insert "Hodor" into conversation on a fairly regular basis. "Seven bloody hells" is now a part of our vocabulary. We can entertain ourselves for hours discussing who is related to who, who is plotting against who, and who we think secretly fathered who. I find myself describing incredibly complicated relationships and minute plot points to people who are not at all interested - like Sugar Bear.